Terrorism experts have called on Sri Lanka to formulate a mechanism to dismantle the international network of the LTTE that has been active during the past five years despite its defeat in Sri Lanka. The recent developments pertaining to the revival of the organization in Sri Lanka has prompted local authorities to seek international assistance to prevent all attempts made by the group to reorganize. Even though the organization was militarily defeated five years ago, experts had constantly urged the Sri Lankan Government and the authorities to establish a proper mechanism to foil attempts by the LTTE elements abroad to regroup and pose fresh threats to Sri Lanka. Head of the International Center for Political Violence and Terrorism Research (ICPVTR)] at Nanyang Technology University in Singapore, Prof Rohan Gunaratna told The Nation that Sri Lanka’s priority was to dismantle the LTTE’s overseas infrastructure. “The LTTE branches and fronts in Tamil Nadu and the West supported the revival of the LTTE. With the center of gravity of the LTTE shifting to the international arena, the international law enforcement and security and intelligence services are concerned about the regrouping of the LTTE,” he told The Nation. “They do not want their host countries to be exploited by the LTTE to target another country. 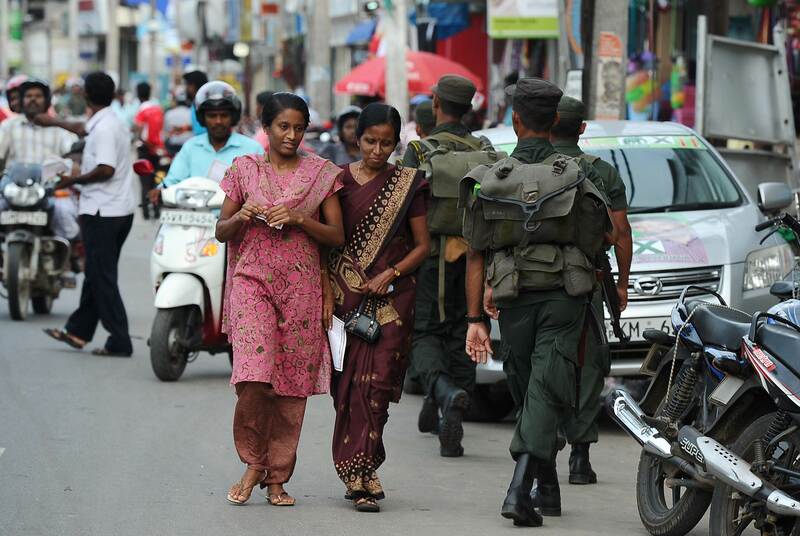 To fight the revival of the LTTE, there is extensive counter-terrorism cooperation and collaboration. Despite the geopolitical differences and strategic challenges, governments will continue to cooperate on security as long as terrorism remains a tie one threat,” he added. The Tamil Nadu factor has also played a key role in the LTTE’s international network. Following its military defeat in Sri Lanka, the LTTE has looked at Tamil Nadu as a key platform for its revival. “The LTTE survived by turning to their overseas branches and fronts in Tamil Nadu and Western countries. Canada, France, Germany, Switzerland and the UK hosting large Sri Lankan communities emerged as conducive arenas,” Prof. Gunaratna added. The common sentiment of Tamil Nadu people and its politicians also helped the LTTE to use the State as a platform to strengthen its network internationally. Tamil Nadu played a key role in India’s position on the US-backed resolutions that were tabled at the United Nations Human Rights Council (UNHRC) sessions in Geneva after 2009. The recent clash has also brought to light the plot by the LTTE after the end of the war. Prof Gunaratna revealed that there had been at least half a dozen plots targeting Sri Lanka since May 2009. “The security platform during the three phases – humanitarian assistance, socioeconomic development and political engagement – prevented a revival. The national security and counter terrorism agencies have effectively responded to the threat,” he said. He said the LTTE overseas network focused on lobbying to dismantle the security platform in Sri Lanka to make a ‘surreptitious’ comeback. “Like terrorism returning in Iraq and Afghanistan, terrorism will return if government dismantles the security platform,” he said. During the past five years, the Northern Province has seen changes through development, reduction of barriers on the roads. However, the shootout in Nedunkerni in the wee hours of April 11, and emerging reports of LTTE revival in the North have once again prompted security forces to put up temporary roadblocks and check points to avoid terrorism elements to regroup and hamper daily lives of Northern civilians. The security forces and Police have said that the situation was very much under control and no drastic measures needed to be taken to address the issue. Military Spokesperson, Brigadier Ruwan Wanigasooriya stated that there was no plan to increase military presence in the North following last week’s incident. “As of now, there is no plan to increase military presence in the North. However, we will have to do it if the need arises in the future,” he told The Nation. “We have put up a number of after this incident. They are still functioning since we need to ensure stability and security. However, these road blocks will be removed once the situation eases,” he said. The topic of military presence in the North has been an issue of discussion ever since war ended five years ago. The Tamil National Alliance (TNA) has continuously leveled allegations against the Government and the military that no action had been taken to reduce military presence in the North despite the war coming to an end five years ago. The United Nations human Rights Council (UNHRC) sessions in Geneva last month also discussed the topic before tabling the resolution against Sri Lanka. Minister Mahinda Samarasinghe who is also the Special Human Rights Envoy for Sri Lanka, had reiterated the importance of military presence in the North following the shootout. The Minister, after meeting the chief prelates of Asgiriya and Malwatte Chapters in Kandy last weekend said the Government had made the right decision to retain military presence in the North despite international pressure. Meanwhile, the Police have taken immediate action by strengthening its intelligence in the North. Police Spokesperson, SSP Ajith Rohana held a special press conference last Thursday (17) to elaborate on the actions taken by the Police to tackle the issue and measures that needs to be taken by them and the general public to address the issue. During the recent past, Police had arrested several persons suspected to have been connected with terrorism activities. On March 5, two individuals were arrested by the Palai Police for putting up posters containing propaganda material of the LTTE. “The posters had called for regrouping due to injustices faced by the Tamil people,” SSP Rohana said. The TID was able to ascertain the instructions for the poster campaign was given to these individuals by Kajeepan Ponniah Selvanayagam alias Gopi who was one of the three suspects killed in the shootout. It was further revealed in the questioning that two other persons Sunderalingam Kajeepan alias Thevian and Navaratnam Navaneedan alias Appan were actively contributing to the regrouping efforts. Both Thevian and Appan too were killed in the clash while trying to flee. SSP Rohana further said that Thevian is also said to have purchased a plot of land in Dharanikulam, Vavuniya with the intention of using it for future operations of the LTTE. Previously, on March 11 the Terrorism Investigation Division (TID) conducted an operation to arrest Gopi in Kilinochchi. However, he was able to evade arrest by escaping from the house of an individual by the name Jeyakumari Balendran, while shooting a TID officer. Balendran was arrested for aiding the suspect. The arrest triggered protests internationally as she had been at the forefront of several protests and agitations organized in the North on disappearance. The TID was able to find mortars and ammunition from a house in Vishwamadu through further investigations in March. The TID was also able to find landmine detectors from another residence which were revealed to have been stolen from a company by the name of Dash. Further, the TID was able to find hidden instruction manuals in Udayarkattu explaining weapons training. “Clearly there are attempts to regroup, saying there is no such regrouping is a false statement,” SSP Rohana said. Since March, 67 were arrested for terrorist-related activities. Currently, out of that 47 men and 10 women are still in custody. Since the end of war 106 individuals are in the custody of the TID for terror related-activities such as Nandagopal who was arrested when arriving in Sri Lanka. According to SSP Ajith Rohana the intelligence units are focusing on the Northern Province with special focus on Jaffna, KiIlinochchi and Vavuniya. “We have increased intelligence in the North,” he added requesting residents of the North not to support such groups. Attempts by the LTTE to regroup in Sri Lanka are currently being neutralized with the help of the TID officials and Sri Lanka Army, Police Spokesperson SSP Ajith Rohana said. Since many of the leaders are said to be operating from abroad, Interpol on requests by local authorities has issued red notices to 190 countries. Accordingly, 40 red notices have been issued by Interpol on persons involved in terrorist activities and propaganda. Nediyavan and Vinayagam who have been identified as new front-runners of the defeated LTTE terror outfit are among persons such red notices have been issued against. “We are seeking international assistance through the Interpol to counter the rise of such groups in Sri Lanka,” SSP Rohana said.